Chile is one of South America's most promising investment destinations, with its stable and prosperous upper-middle-class economy. While the country is well known as the world's largest exporter of copper, it's also the fifth largest exporter of wine and a large regional producer of chemical wood pulp, fish, and grapes, among other things. 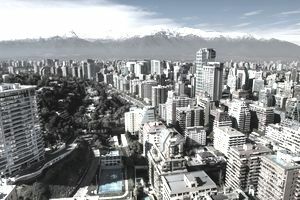 Chile is highly regarded within the financial community as one of the strongest investment destinations in Latin America. With its significant exposure to commodities, such as copper, the country has attracted a lot of foreign capital that has helped grow its economy. And, emerging minerals like lithium have helped keep the country's resources in demand. Strong Performance - Chile was the first South American country to join the OEDC in May of 2010, with the highest nominal GDP per capita and highest competitiveness rating in Latin America, according to the Global Competitiveness Report for 2009-2010. Vast Natural Resources - Chile is the world's largest exporter of traditional copper, as well as lithium that's used to power next-generation batteries. By some estimates, the country has about a quarter of the world's lithium reserves. Friendly Government - Chile's government is one of the richest governments in Latin America thanks to favorable economic policies designed to promote growth and sustainability over the long-term. Investment in Chile involves risks that are specific to Chile, including legal, regulatory, political, currency, environmental and economic risks. For instance, the country's reliance on copper prices to support its economy may negatively affect its economy. Meanwhile, the country's position in South America may also pose some risks for investors. Reliance on Exports - Chile's reliance on exports, such as copper, make its economy susceptible to slowdowns in other countries, such as the United States or trading partners in the European Union. Geopolitical Risk - Chile's position within South America involves significant geopolitical risk, particularly from Argentina's economy. Meanwhile, Chile's own economy has faced some domestic unrest, particularly among students in 2011 and 2012. Corporate Policies - Chile's corporate governance lags behind international standards, with no requirements to have nominating or remunerating committees or requirements to disclose director or executive pay policies, among other things. The easiest way to invest in Chile is with the iShares MSCI Chile Index Fund (ECH) exchange-traded fund (ETF). With broad exposure to the country's economy, the ETF offers investors great diversification with enough liquidity to quickly enter and exit positions. Investors can also hedge against their positions with call and put options on the ETF. Another great way to purchase Chilean stocks is through American Depository Receipts (ADRs), which are essentially foreign stocks trading on U.S. exchanges. With over 25 ADRs trading on U.S. exchanges, the country offers a number of ways for U.S. investors to directly participate in its most popular companies. Finally, investors can purchase one of the country's 260+ publicly traded companies directly through the Santiago Stock Exchange. With a market capitalization of $341.8 billion in 2010, the exchange is one of the largest in Latin America. Some international brokerage accounts in the U.S. enable these securities to be traded directly. Chile represents one of South America's largest economies and most successful economies, making it a premier investment destination in the region. Chile faces several risks that investors should consider, including a lack of economic diversification, geopolitical risk, and lackluster corporate policies. Investing in Chile can be easily accomplished with ETFs and ADRs, but investors can also purchase stocks directly from the Santiago Stock Exchange in some cases.